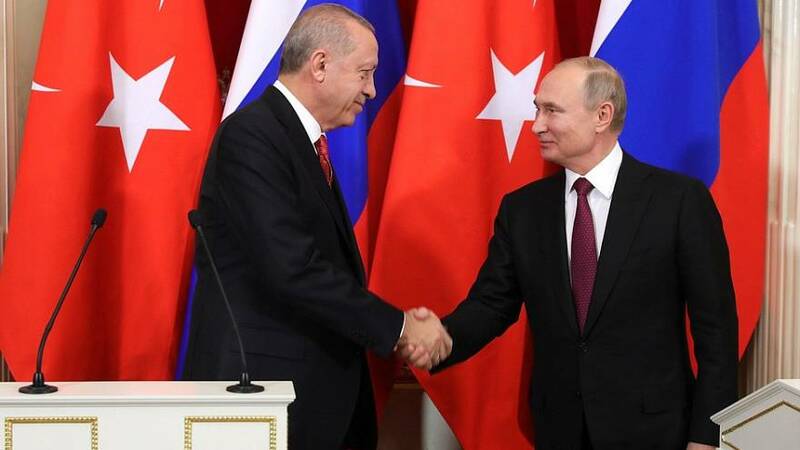 Turkish President Recep Tayyip Erdogan is to meet his Russian counterpart Vladimir Putin on Monday in what is likely to inflame already fraught relations with the US. The two leaders will meet in Moscow and are expected to discuss a Turkish military operation in Syria as well as Turkey's purchase of a Russian-built surface-to-air missile system. It is the third time this year the two leaders will meet. Turkey, which has backed the Syrian rebel opposition in the country's devastating civil war, has been collaborating for the past two years with Iran and Russia, Bashar Assad's main supporters, to defeat Syria's YPG Kurdish fighters. It accuses the militia of having close ties with Turkey's separatist Kurdish movement which it considers to be a terrorist organisation. But Kurdish fighters are the US' main allies in Syria. Washington' top diplomat, Mike Pompeo, warned Turkey's Foreign Minister, Mevlut Cavusoglu, last week of "the potentially devastating consequences of unilateral Turkish military action in the region," according to a State Department readout. The US has also harshly condemned Turkish plans to buy the Russian-built S-400 air defence system and warned its fellow NATO member state that if the purchase goes ahead it will have to reassess Ankara's participation in the F-35 fighter programme. "Does it want to remain a critical partner in the most successful military alliance or does it want to risk the security of that partnership by making such reckless decisions that undermine our NATO alliance?" A spokesman for the Turkish Presidency defended the bilateral meeting on Monday, arguing that the two countries "take all actions showing due respect to Syria's territorial integrity and to combat terrorism. "We urge all nations, which support terrorist groups that threaten our and Syria's territorial integrity, to reverse their course and to contribute to the ongoing process," he added.